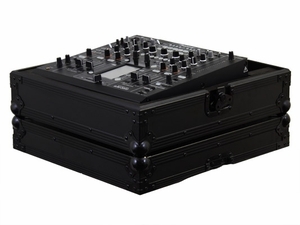 Our Flight Zone� Black Label� FZDJM2000BL heavy-duty ATA case is built specifically for the Pioneer DJM-2000 professional DJ mixer. The DJM-2000 sits perfectly angled safe inside the case with plenty of rear space essential for multiple player and laptop connectivity, and the bottom storage pit helps keep the mixer well ventilated as the dance floor heats up. Standard black and chrome Flight Zone� version (FZDJM2000) as well as Glide Style� versions (FZGSDJM2000 & FZGSDJM2000BL) with Odyssey's patented sliding laptop platform design also available.